Home Windows Data Recovery Need to Recover Files Lost by Ctrl+Z? 3 Proven Ways Help You! Summary: This article will give you the easy methods to recover files lost by Ctrl+Z. Check it out now to know how! Our computer systems are loaded with tons of important files and data. Anything that is highly necessary and significant like work-related files, personal data that includes photos, videos, music, and movies, etc. are saved in the form of files and folders so that they can be accessed easily anytime without any hassle. But what if, you tend to lose that indispensable piece of information by mistake? Let’s say; you decided to clear all those unnecessary files and folders but, mistakenly you also selected those one or two odd files which were not supposed to be deleted by pressing Ctrl+Z. Well then, do not worry! As this article will take you through some of the ways which will help you to recover files lost by Ctrl+Z from Windows 7/8/10. What causes file(s) to get lost or removed? Here, we are going to explain to you what action possibly causes a file to disappear with the help of an example. Suppose, you wanted to cut and paste a couple of files from the documents folder to a new folder that you created on the desktop! After pasting the files to the newly created folder, you choose to delete a few of them. But, then you wanted those files back again, and you do that by pressing Ctrl+Z, and eventually you see that, pressing Ctrl+Z actually deleted the entire folder that you created. This can be quoted as a case of accidentally deleting the files by pressing Ctrl+Z as this command functions to remove the data. But, you can get it back by following some easy ways with the following methods. Here are some basic solutions to retrieve files in case you have lost some files by Ctrl+Z with or without any software, Have a look! 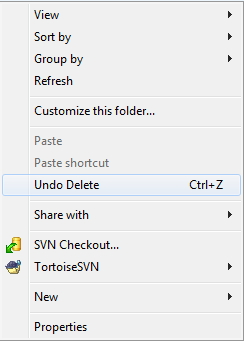 Many people are unaware about the value of a simple command “Ctrl+Z” that can undo any of the instantly deleted or removed file. When you mistakenly tend to delete a file or folder stored in your PC’s hard disk, you can smoothly retrieve it back by hitting “Ctrl+Z” action. Go to “Start” and click on “Computer”. Look for the folder that contained the deleted file. After this, right-click the folder and select “Undo Delete”. Doing this action should restore the accidentally deleted file or files, just like the way “Ctrl+Z” would do. Open the “Recycle Bin” location. Find out the accidentally deleted files or folders you wish to recover. Now, select the desired file and right click on the “Restore” option in order to undo lost files. 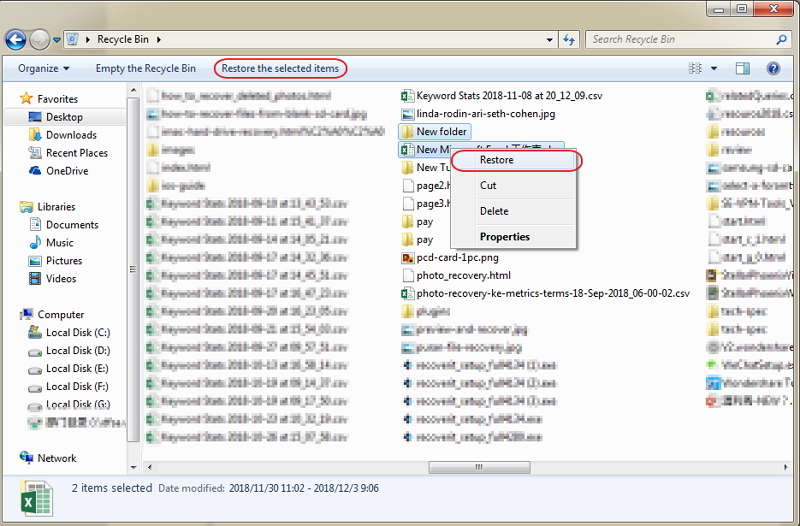 Alternatively, when you select the desired files and folders, click on “Restore selected item” on the navigation tab. Doing this process will let all the deleted files and folders to go back to their original location. The above-mentioned steps to recover files lost by Ctrl+Z works in most of the cases, but there may be a chance that these steps may not be of much help to you. Henceforth, the most trustworthy and sure shot method to recover files lost by Ctrl+Z is by using a powerful recovery tool, like Bitwar Data Recovery software. 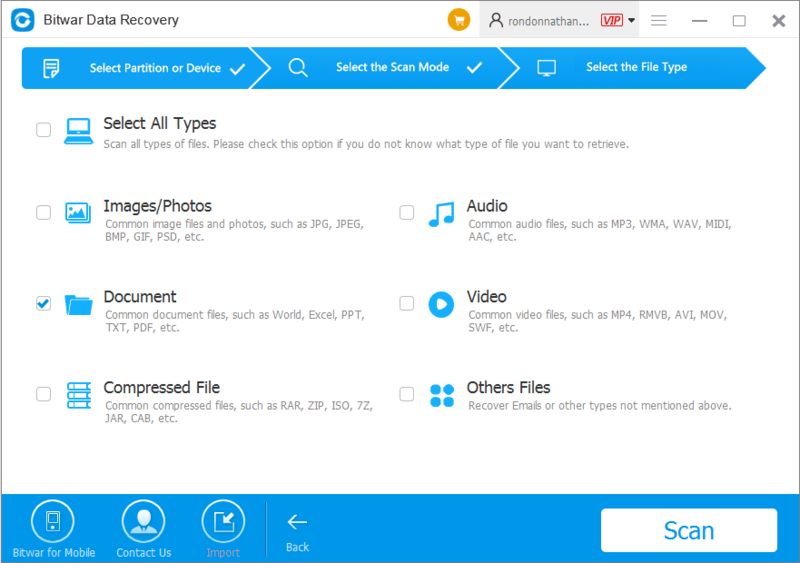 Available for both Windows and Mac, it is free data recovery software that can help you retrieve almost any kind of data if you have accidentally deleted or formatted. Step 2: After installation, launch Bitwar Data Recovery software. And then choose the option “Deleted File Recovery” from Standard Mode, hit on it. Step 3: After that, you can see a list of partitioned files and drives; select the affected drive or partition you need and then press “Next” button. Step 4: Now, Choose the needed file types you need and click “Next” button. 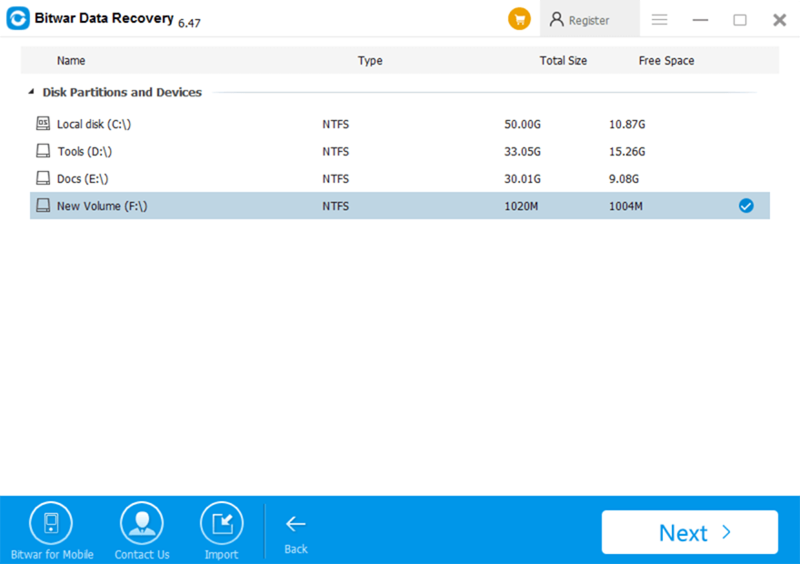 Step 5: After previewing the picked up data, select them and click on “Recover” button located at the bottom of the page and save the data in any other storage device. Make sure that you do not save the retrieved data using the recovery tool in the same drive to avoid any further permanent data loss. All sorts of files and data such as pictures, audio, video, and files like doc, xls and more can be easily and quickly recovered using this fabulous Bitwar Data Recovery software. This is not it; the software is entirely compatible with external hard disk, SD memory cards, USB‘s, hard disks, music, and video players as well. Don’t Miss: What to do When SD Card Not Full but Says Full? Check This out! It is very much possible for anyone to end up accidentally deleting files that contain data like pictures, audio and video etc by hitting Ctrl+Z. Although it’s always a good practice to double check on what you want to keep and what you don’t to stay away from the trouble of fixing it. Yet, we are humans, and humans have a tendency to commit mistakes. To resolve such issues there are number of ways; however it’s better to go for something that will ensure results along with reliability. 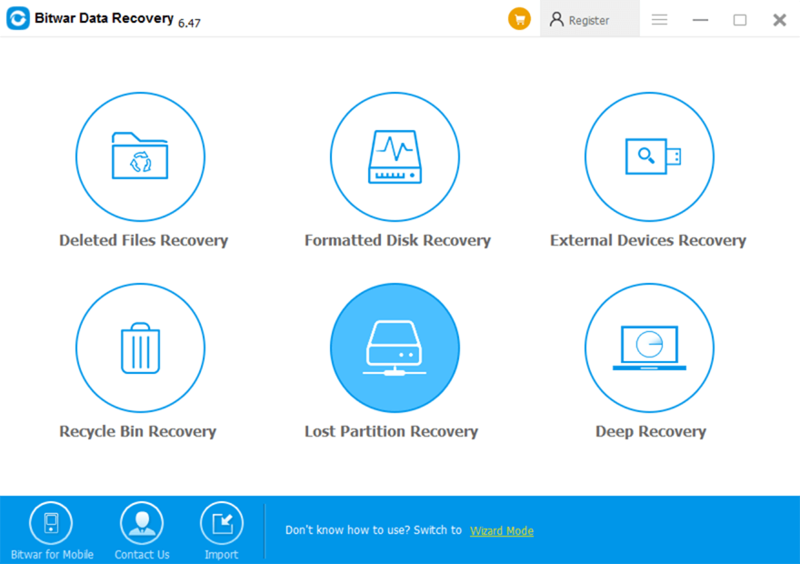 The Bitwar Data Recovery software is one such tool that will provide you with the best solution to get over recovery issues. It is fast, result centered and efficient. So, follow this readily available user manual to learn simple and fast solutions to recover files lost by Ctrl+Z and keep your data safe and in place with this top notch and clean Bitwar Data Recovery software. I’ve been searching for a long time today to find the reliable solutions to get back my lost files that deleted by CTRL+Z, thankfully I got all my lost files back with the method of using the Bitwar Data Recovery Software. Thanks so much with your help. Hi, Charles, we are also happy to see that this article helps you to restore your lost files. Have a nice day!